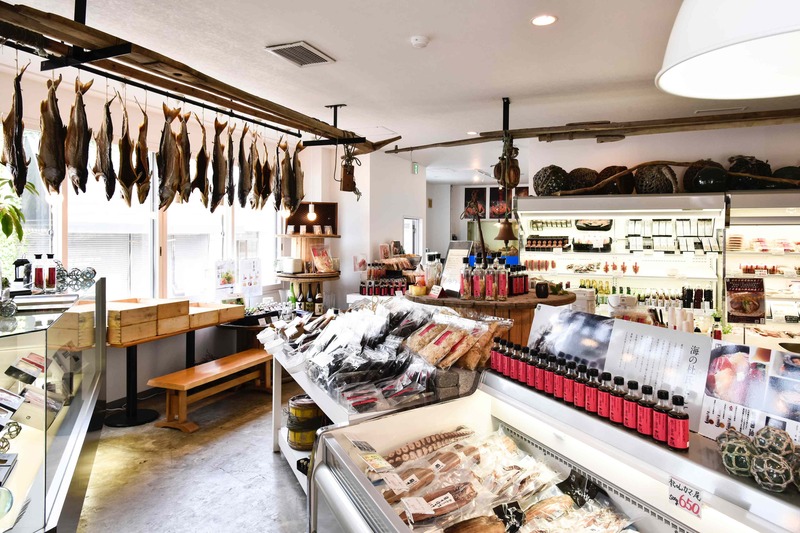 We carry a selection of fresh seafood and seafood products from throughout Hokkaido, with a special focus on Otaru’s local waters. 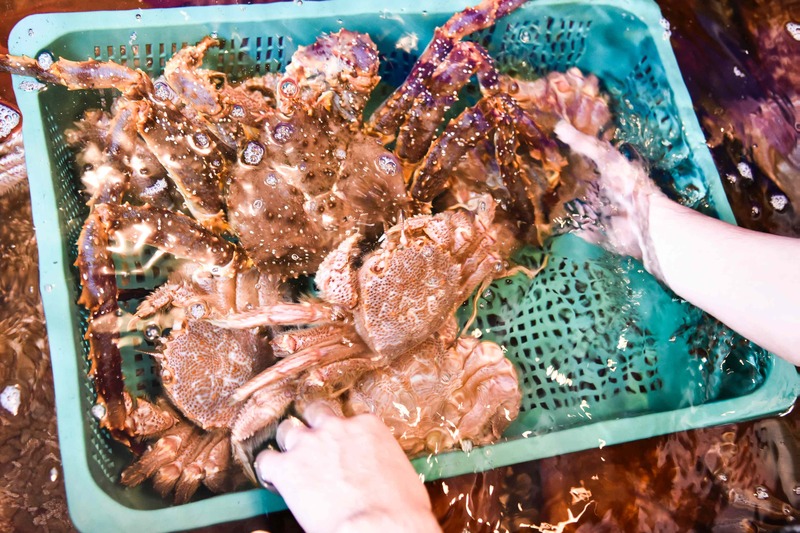 Browse through live crab, dried seafood, kelp, savory tidbits, fish roe, and more. At the 2nd floor dining area, enjoy freshly boiled crab kept live in house, or try our “kaisen-don” (raw seafood rice bowl). For a true taste of Hokkaido, we recommend trying “sake-bushi” (flakes shaved from smoked and dried salmon) – you can even try shaving your own, which can be great fun for the kids. 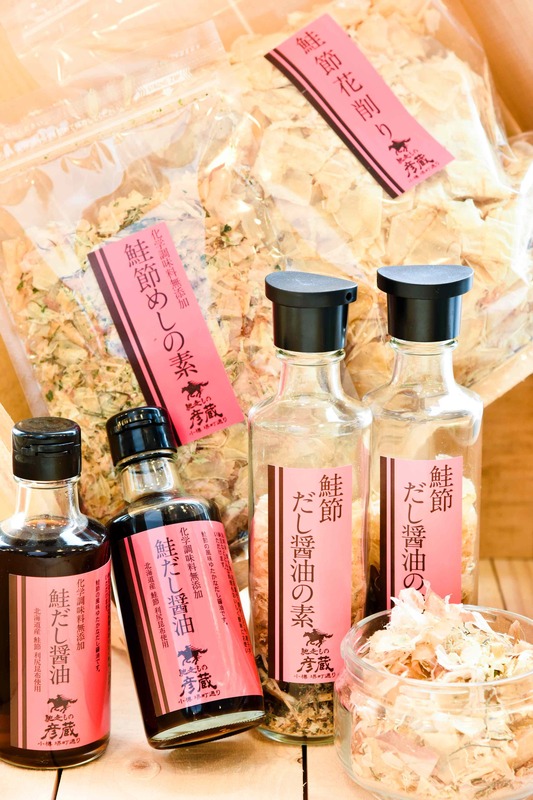 You can also enjoy samples of the shaved flakes, which are used to prepare “dashi” fish stock, or try a variety of products made from sake-bushi.